A new recommendation from the Australian Energy Market Commission (AEMC) would encourage solar energy users to join virtual power plants (VPP). A VPP is a network of small generators, such as rooftop solar energy systems, connected to form a single large power source. This is then managed by an organisation that trades the power on the market. VPP members receive the financial benefits of these transactions in different ways, depending on the VPP structure. At the moment, the grid connection rules allow for access to a customer by only one service provider, usually an electricity retailer such as Origin or AGL. The sonnenFlat plan allows users to generate, share and trade energy in a virtual power plant network. This stops the customer also connecting to electricity generated by providers like a community solar garden, or from connecting to a VPP. The AEMC proposal would allow homes to access multiple service providers, not just the one retailer. This would help our transition from a market with a few large retailers to one where lots of small generators trade electricity through VPP. One VPP company that is also an energy retailer is battery manufacturer sonnen. By joining its sonnenFlat VPP, sonnen battery owners are guaranteed a certain amount of electricity each year. But members never receive an electricity bill. In return for joining the VPP they pay as little as $30 per month as a flat fee. Their pooled battery power ensures members access clean electricity 24 hours per day. It also means major energy retailers have to offer cheaper, cleaner electricity to compete with the VPP. According to the AEMC, its recommended change has its challenges. A second connection point would need to be added to the home, which would require rewiring. The customer may also have to pay two sets of network tariffs. 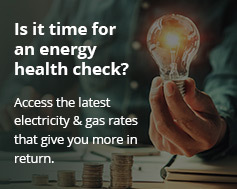 The AEMC has suggested that the Australian Energy Market Operator draft a possible regulatory change that would allow households access to multiple providers. If these changes occur, any person or business with their own solar installation and home battery could take part in a virtual power plant, and enjoy the savings that come with it.